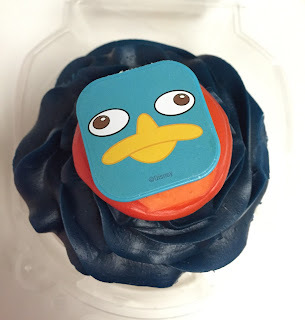 We found cupcakes with Perry and Agent P from "Phineas and Ferb" at Food Emporium, a supermarket chain. 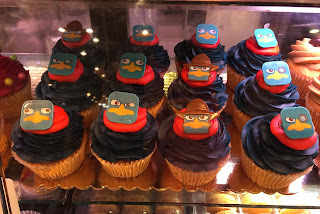 There're several faces of Perry and Agent P, but I asked to choose a specific one that I always like. 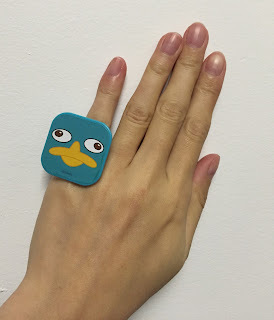 And that is this Perry, you often see this when he's a pet platypus. 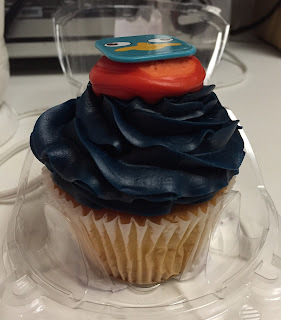 The buttercream frosting was dark blue and orange. 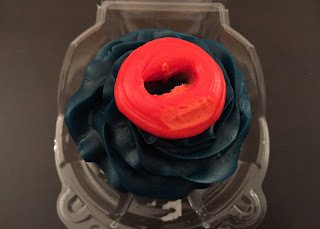 As I hate buttercream, I scraped it off and it's already dried because we bought it at night, assuming they made this in the morning. 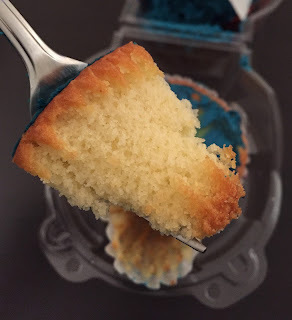 Unfortunately, the sponge was really dried and mushy, and I only ate the core/center where it's still moist.